Hip pain can be traced to a variety of sources, from overuse injuries to rheumatoid arthritis. 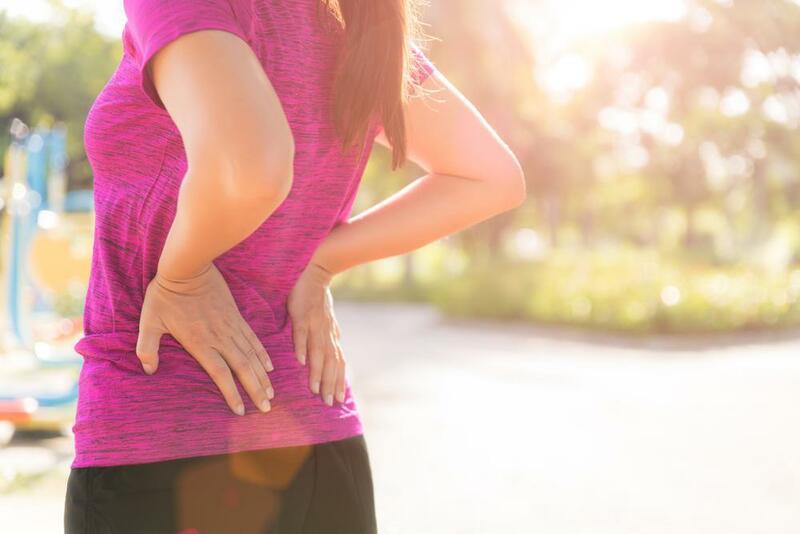 Both of these conditions can result in hip bursitis, which is marked by irritation of the bursae, or sacs of fluid that cushion the bones and soft tissues in the joint. The bursae protect the bones in the hip, minimizing friction and allowing for a wide range of motion. Damaging these gel-like sacs can cause pain and prevent the hip from performing as it should. Hip bursitis is particularly common among runners and other athletes who place frequent stress on their joints. 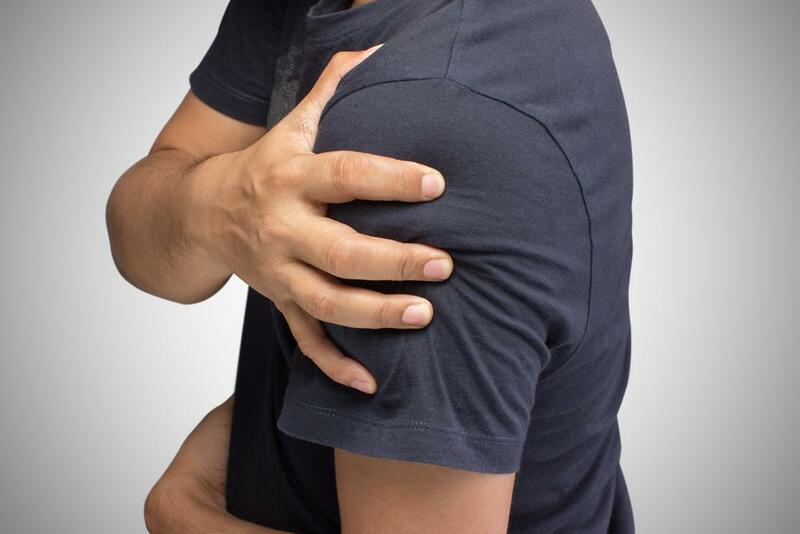 Symptoms of the condition include a sharp pain or dull ache in the hip, an inability to lie down or lean on the affected area, and difficulty standing up. To stretch out and strengthen your glutes, try the prone hip extension exercise. Begin by lying on your stomach with your legs straight back. You can fold your arms in front of your chest and rest your head on top of your arms for support. Tense your stomach and core as you use your thigh muscles to lift your injured leg off of the floor. Your foot should rise about eight inches, with no bend in the knee. Hold this position for 15 to 30 seconds, then release and repeat. Start in a standing position and cross your uninjured leg over your injured leg, leaving some space between your feet on the floor. You can simply reach down and touch your toes, or for a deeper stretch, reach down toward the inside of your back foot. Without bending your knees, hold this position for 15-30 seconds. Return to standing position and repeat this stretch three times. Be careful not to push yourself too far, stretching your legs until you feel only a slight discomfort. The straight leg raise is a great way to work both your knees and hip muscles. For this exercise, lie down on your back with your legs straight in front of you. Bend your uninjured knee and place the foot flat on the floor. Then use your thigh muscles to lift your injured leg about eight inches off of the floor. Keeping your leg straight and muscles tight, hold for a few seconds before slowly lowering your leg back down. For best results, do two sets of 15 raises. Many people neglect to exercise the adductor muscles, which can lead to dysfunction in the movement of the hips. The inner thigh ball squeeze targets these muscles using a small exercise ball to provide resistance. To start, lie on your back with your feet on the floor and the exercise ball between your bent knees. Pull your belly button in toward your spine as you use your thighs to squeeze the ball tightly. Repeat this movement for three sets of 20 reps. If you’re suffering from hip pain due to bursitis, avoid high-impact activities like running or jumping that place additional strain on the joints. Skip lunges and step-ups, as they can be difficult to execute for people with hip conditions. It’s also best to avoid any stretches that require you to lie on your side, since pressing your hip bone into the floor could further irritate the joint. Sticking to these physical therapist-approved exercises should help improve many of your bursitis symptoms, but if you continue to experience hip pain, it’s important to visit an orthopedic expert. The sports medicine specialists at All Sports Physical Therapy can help you build a personalized treatment plan that meets your needs. Set up an appointment today to begin your recovery.